We will share our experience and passion with you! Before you begin your exciting adventure with the Polish language, choose a school which will help you achieve your goals. GLOSSA will undoubtedly meet your expectations. 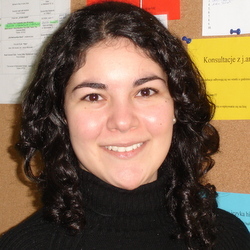 GLOSSA has been specializing in teaching Polish as a foreign language for nearly 20 years. Our extensive experience has resulted in the development in our own series of course books ("POLSKI krok po kroku”) and the e-learning platform e-polish.eu. GLOSSA is located right in the heart of Cracow, well connected by transport to all the most important spots in the city (10 minutes on foot from the main square and 5 minutes from the most important monuments of the Jewish district Kazimierz). When you arrive at the school, you will be greeted by a team of employees and teachers whose kindness and positive energy will help you acclimatize to life in Cracow. Courses are held in bright, spacious rooms equipped to the latest modern standards. On campus you can use the school Wi-Fi, the computer lab and the rich library of film and book resources. In the student lounge you can meet up with other people who are learning at the school. In the immediate vicinity of the school you will find cafes, eateries, bars and a fruit and veg market. You'll be learning in small groups with students from all around the world who create a multicultural, exciting community. After classes, you will be able to participate in numerous extra-curricular activities. Our specially prepared program will allow you to explore particular aspects of Polish culture, history and social life while preparing you to deal with the cultural differences. In our school, we believe that the best way to learn a language is by using it frequently. We motivate you to use Polish in everyday situations. We will help you to take your first steps with the language and do everything we can to make your stay in Poland a fruitful and memorable experience.